The bike tour during a stop at NE Rodney and Tillamook. 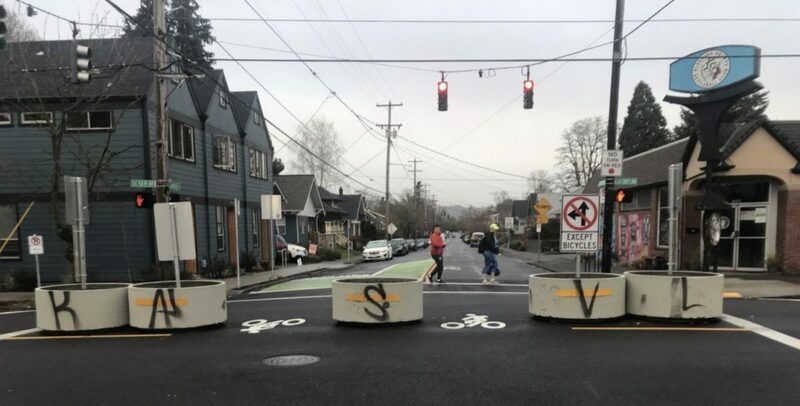 On a bright and showery Saturday morning this past weekend, ODOT hosted biking and walking tours of the changes planned to go with the I-5 Rose Quarter Project. 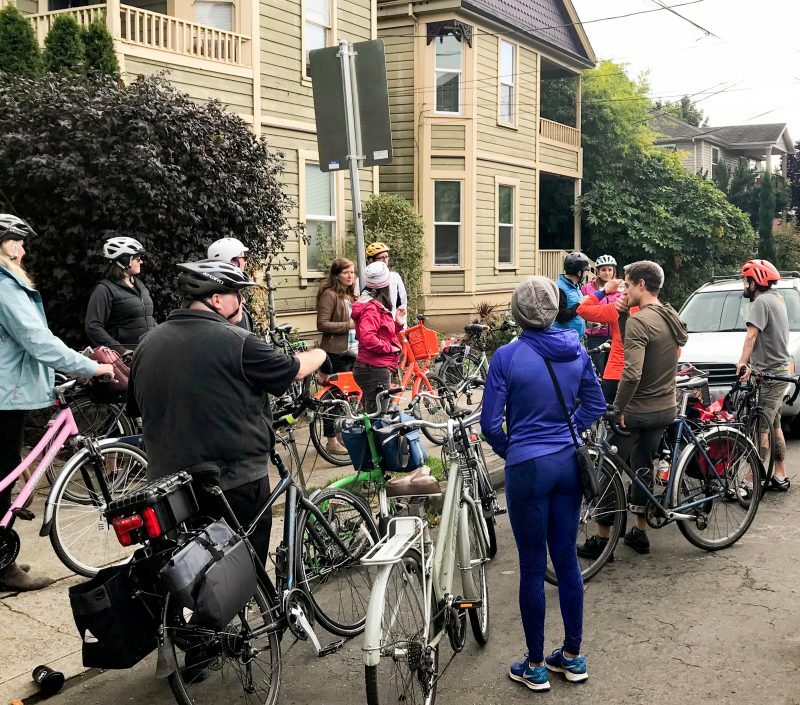 ODOT officials including Region 1 Planner Megan Channell and Transit and Active Transportation Liaison Jessica Horning teamed up with Doug Zenn, a consultant for HDR, Inc. (a construction firm) to lead a bike tour of the area, while other ODOT staffers led a walking tour.